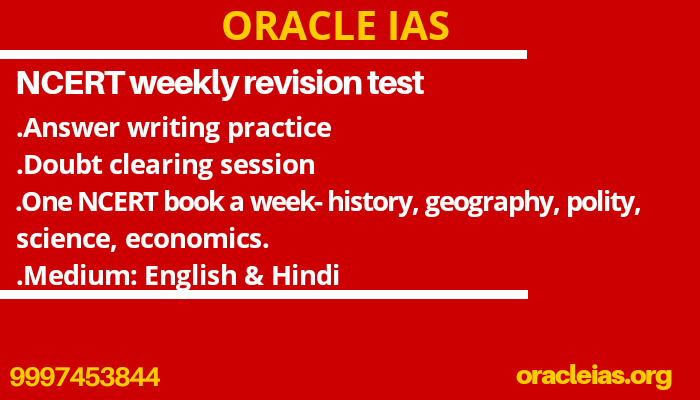 NCERT weekly revision test is one of a kind initiative by Oracle IAS. The initiative is helpful for all the aspirants targeting government exams like- UPSC, state PCS, CDS, NDA etc. Oracle IAS, the best coaching institute for UPSC/IAS/PCS preparation in Dehradun brings to you budget 2019-20. After the analysis of the budget, we have compiled a concise document for all the new schemes launched by the government. The document will be helpful at every level of exam – Prelims, Mains and Interview. Uttarakhand(Lower) PCS – 2016 interview preparation programme. Congratulations to all the candidates who have qualified the Main exam in UK LOWER PCS 2016(Uttarakhand(Lower) PCS – 2016 interview). We at Oracle IAS will be conducting Interview preparation classes(3-4 Days) for the same in the month of January, 2019. Interested candidates are requested to fill in the form given below. In the mean time you can start you interview preparation with the help Oracle Interview Guide that we have specially tailored for UKPCS. For Uttarakhand Lower PCS-2016 interview programme with mock tests, innovative exercises and classes, register on this link. Author wamsucrrPosted on December 21, 2018 March 6, 2019 Categories Study Material, UKPSCLeave a comment on Uttarakhand(Lower) PCS – 2016 interview preparation programme. Syllabus: GS-2, Salient features of RPA. What are the conditions to become a national party in India? Lok Sabha has 543 seats in total out of which a part should at least have 2 per cent of seats from at least three different states in India. UPPCS Prelims 2018 exam was conducted today ie 28.10.2018. 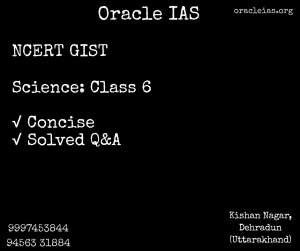 Oracle IAS, the best coaching institute for UPSC/IAS/PCS preparation in Dehradun (Uttarakhand), brings to you NCERT gist. Oracle IAS, the best coaching institute for UPSC/IAS/PCS preparation in Dehradun (Uttarakhand), brings to you views on important issues. What are the functions performed by the State Finance Commissions (SFC)? What are the major concerns with SFC? Suggest some measures to improve their role? 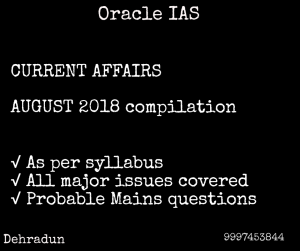 Oracle IAS, the best coaching institute for UPSC/IAS/PCS preparation in Dehradun (Uttarakhand), brings to you current affairs summary compilation. 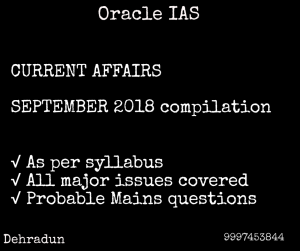 Oracle IAS, the best coaching institute for UPSC/IAS/PCS preparation in Dehradun (Uttarakhand), brings to you monthly current affairs compilation. Oracle IAS, the best coaching institute for UPSC/IAS/PCS preparation in Dehradun (Uttarakhand), brings to you ARC summary.